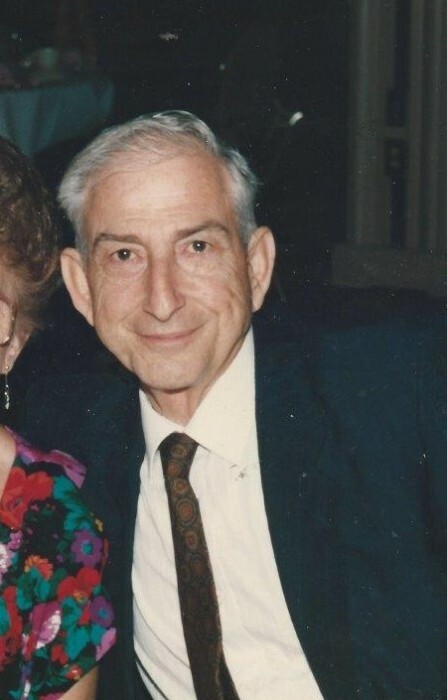 Where do we start with describing the life of Emile T. Pappas, whom we lost on April 14, 2019 at the age of 93, and how do you celebrate a man’s life in a few brief words that is more appropriately told in a book and then a screen play? The answer is simple, as he lived his life, we just embark. 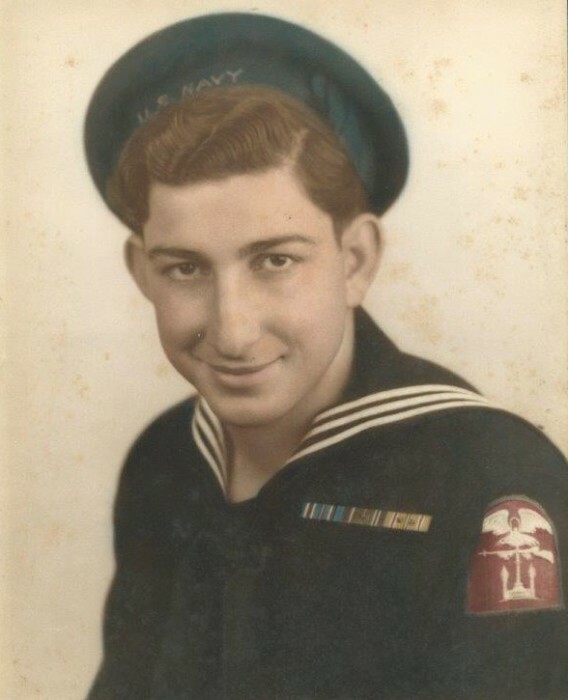 He was born in Shreveport LA on December 3, 1925 as the second of three children of Tony and Katherine Pappas, Greek Immigrants, from Kusadasi, Turkey and Chios, Greece, respectively. Before the age of 5 the depression hit. He, like many, was out of work. No kidding, but that didn’t last long. He seemed to always be working or thinking through the issues of the day. By age 7-10 he was selling pancakes on the street, golf balls on the nearby course, and Coke a Cola to whoever he could for which he received stacks of these things called shares. When he told his father that he had stock in a company called Coke a Cola, his father made him take them back and exchange them for the coins to which he was promised. After all, there was a depression on. On December 7, 1941, while in the basement of the Greek Orthodox Church in Shreveport, he heard the news of the bombing of Pearl Harbor. Ever resourceful, this 16 year old Eagle Scout found his way into the Merchant Marines and then in the U.S. Navy, and, at 17, was fighting in the Pacific. He served on some 7 ships in all, 2 of which were shot out from under the crew, and on one occasion leaving him in the water for five days and nights before his rescue by a passing ship, with only his life preserver and the whistle that he never stopped blowing, soldered to his mouth. Never one to complain, he always saw the glass half full. He was once asked if he minded being short. His response, ever practical, as it was to most things, “No, you see the taller guys got it first in the war”. He received two purple hearts and was honorably discharged in 1947 but not until he witnessed the Japanese surrender in Tokyo Bay. He was not done though, as he also served in Korea and thereafter for a second and final time he was honorably discharged in 1951. He moved to Houston, Texas and after working fashioning hats for the American Hat Company and serving a stint in real estate, he went back to the bug killing business, which he acquired in the Navy. He quickly grew a business, owning 11 trucks at one time which he then promptly sold, downsizing to one, with just him in it. He remarked that his customers got the doctor whereas the other guys sent some serviceman. He worked into his eighties. You see, he never considered it work, he was just visiting 12 friends each day and catching up. Despite never receiving a degree, he took classes at the University of Houston and Texas A&M. He always considered getting a degree unfinished business and for the remainder of this life, he sought to rectify the mistake through self-education and self-improvement. By way of examples, he became a self-educated entomologist, and although, an admittedly a bad speller, in response, for years he would routinely list hundreds of words on paper to spell them correctly. He was a chain smoker during the war, but quit cold turkey one day after being confronted by a kid to whom he had advised to stop smoking. “If they are so bad, why don’t you quit?” He did that very day and while he still couldn’t spell “cat”, he never smoked again. On November 20, 1955, he married Frances Manthos of Des Moines, Iowa, to whom he was wed until her death in 2016. At first, she wanted to have nothing to do with this brash, sweet talking Texan. His tall tales and charm, spun long distance through a series of romance letters, eventually found the mark and the couple married and settled in Houston, where they lived thereafter. She was his Fran and for 61 years, they lived life each day like it was the last, traveling the world over, and gathering friends as they went. If you knew Emile Pappas, you liked him, if you just met him you wanted to know him more, and if you never met him you soon would, as he never met a person to whom he wouldn’t talk, always at the ready with a new adventure or story to impart, from the simple to the fantastic, generated from a thirst for knowledge and new experiences. He accepted the world and people as they were and not as society said they should be, and was happier for it. He, of course, was always reinventing himself, as neither his work nor his history defined him, but rather the happiness that life and the next adventure brought. He hunted and fished, he was a dancer of some notoriety, remarking to his grandchildren that it was “all in the knees”. He took up photography at an early age, accumulating hundreds of hours of home movies, equipment, and photographs. At some point during all of this, he developed a vegetable garden out of 5 gallon pots, making his own soil and green house. He grew and ate kale, well... before it was kale. He entered the computer age with a passion, never afraid of change or the newest invention. He worked out...in his own way, jogging in place, walking, and consuming a steady diet of vitamins and fish oils. He took up studying the Bible, never forgetting the gifts and opportunities that God had given him, always a faithful servant and steward of the Annunciation Cathedral. He was proud member of Ahepa. God, Country, Family, all of which he cherished, and for which he had worked so hard, were ever present in his life. Emile and Fran could not have children of their own and so, when life gives you lemons you make lemonade, he would always say. Undeterred, they adopted three. The first was Gus, born to Fran’s first cousin in Greece. After two years and literally an Act of Congress, assisted by friends, cultivated by nothing more than the good will and the friendship of two fine people, Gus arrived in the US. He was soon followed by Tony, and then Julie and the family was complete. Grandchildren followed in the normal course and manner and Dad became “Papou”, (grandfather in Greek), and there was a new focus in his life, Elena, Alexis, Demi and Manoli. The adventures, however, never ceased. He loved the United States, but never lost sight of his roots. He always claimed that it was his great x 3 or 4 grandfather, a Papadakis, (his uncut Greek last name), that led the Marines to the shores of Tripoli, as the song goes. Tall tale or the truth, it sure made for a good story. In his late seventies, maybe even into his eighties he was climbing mountains, falling from some and enduring the wrath of our mother. He embarked on a 31 Greek Island tour that he accomplished alone in 32 days, getting from island to island on tramp steamers, fishing boats, and an occasional private vessel. He never passed up an opportunity to travel with family to Greece. It was his happy place, where his love for dancing, telling tall tales to his grandchildren, and enjoy paithakia and stifado (lamb chops and rabbit stew), were on full display. At the end, he spoke of going back this summer for three weeks. Even if he knew deep down he would never make it, it made him happy to talk about it. To the end, when asked how he was doing, his answer was always the same, “I’m fine as wine”, and so he is. His favorite time of the year was Easter and the promise that it brings us all. He leaves that legacy to follow, e.g., to look at the bright side of things and the good in people, to make lemonade from lemons, no problem is too great to figure out, God, Country, Family, friendship, humility, and happiness in what you do are the keys to a long and successful life. We can all hear our mother now, “Emile what took you so long to get here.” Never at a loss with an answer, “Fran, I’ve had things to do, but I’m here now”, with a whole new set of adventures, news, and stories to talk about for an eternity to be sure. With deep appreciation, our thanks go out to the entire Clarewood House family and staff, whose compassion and outstanding care of Emile will never be forgotten. We also thank Houston Hospice for the gentle touch, comfort, and care they provided him in those final days. Emile is preceded in death by his parents Tony and Katherine Pappas, wife Fran Pappas, daughter Julianna Pappas, sister Evangeline Theo, brother-in-law John Koumonduros, and brother-in-law Eddie Manthos. He is survived by his brother, Nicholas Pappas, son Gus Pappas and wife Pamela, son Tony Pappas, grandchildren Elena, Alexis, Demi and Manoli, sister-in-law Elaine Koumonduros, brother-in-law George Manthos and wife Linda, sister-in-law Nancy Manthos, and many nieces, nephews and god children. Pallbearers include Bill Chilivetis, Ted Koumonduros, Phillip Mallios, Basil Nichols, Manoli Pappas and Anthony Theo. Honorary pallbearers include John Alex Corkill, Yonni Demeris, Stacey Economides, George Manthos, Jon Manthos, Geoffrey Newton, and Nicholas Pappas. There's still time to send flowers to the Visitation at the Annunciation Greek Orthodox Cathedral from 9:00 AM to 10:00 AM on April 19, 2019.